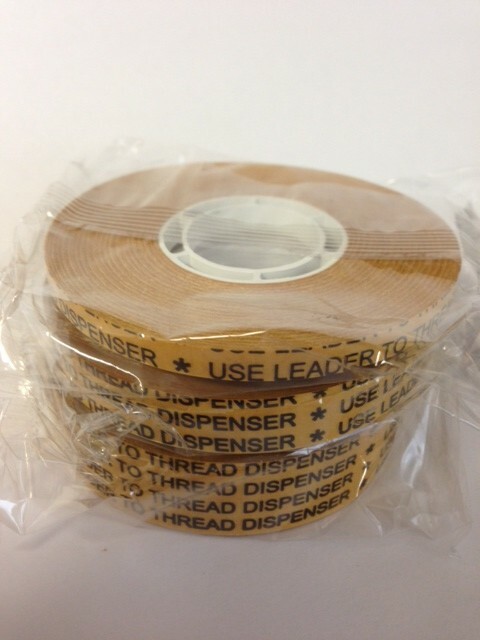 Adhesive Transfer Tapes (ATG) and Dispensers | J.V. Converting Company, Inc. The ATG tape system is versatile, convenient, quick and easy to use. There is no mess or clean up. It is a cost effective replacement to rivets, staples, screws, bolts, liquid adhesives. Safer than hot melt adhesives. Scotch® ATG Adhesive Transfer Tape Acid Free 908 is a 320AF acrylic, reverse wound, pressure sensitive adhesive on a densified kraft paper liner. Acid Free. For use with ATG Adhesive Applicators. Acid free, medium firm, acrylic pressure sensitive adhesive system, good balance of high initial adhesion with quick stick and holding power. Offers good solvent and UV resistance. Scotch® ATG Adhesive Transfer Tape 924 is an acrylic, reverse wound, pressure sensitive adhesive on a densified kraft paper liner. General purpose adhesive transfer tape. For use with ATG Adhesive Applicators. A great go-to general purpose adhesive transfer film tape. Offers high adhesion, good solvent resistance, and excellent UV resistance. 2.0 mil, 400/1000 high tack/low tack acrylic, reverse wound, pressure sensitive adhesive double coated tape with a white tissue carrier on a polycoated kraft paper liner. For use with ATG Adhesive Applicators. A high tack – low tack repositionable pressure sensitive adhesive which allows removal from many papers, foils, and films. Scotch® ATG Adhesive Transfer Tape 969 is a 300 acrylic, reverse wound, pressure sensitive adhesive on a densified kraft paper liner. High tack adhesive transfer tape. For use with ATG Adhesive Applicators. A soft pressure sensitive adhesive system that features high initial adhesion and good holding power to a variety of materials including most plastics. JVCC ATG-7502 is a 2 mil transfer tape with a glass stabilized solvent based acrylic adhesive system carried on a gold paper release liner. The peel adhesion is 27 oz/in. and the temperature range is -22 to + 230 F. It has good adhesion to paper, most plastics and metals. Used extensively for picture framing, scrapbooking, and product assembly. 7502 is acid neutral and is not soluble in water. 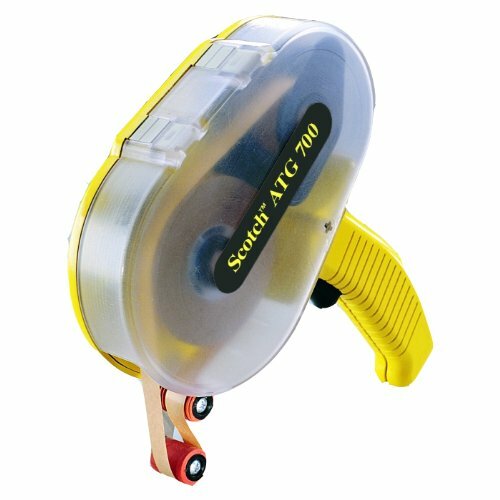 JVCC ATG-7502X is a 2.1 mil transfer tape with a glass stabilized solvent based acrylic adhesive system carried on a gold paper release liner. The peel adhesion is 32 oz/in. and the temperature range is -22 to + 230 F. 7502X has a more aggresive, faster sticking adhesive than 7502. It has excellenat adhesion to paper, most plastics and metals. Used extensively for picture framing, scrapbooking, and product assembly. 7502X is acid neutral and is not soluble in water. 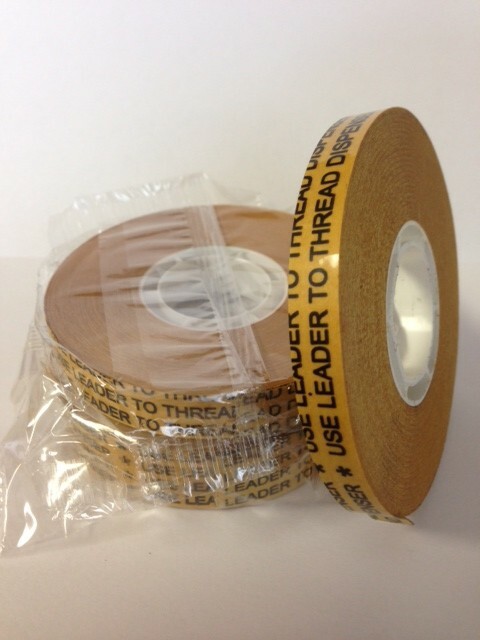 JVCC ATG-7505 is a 4.8 mil transfer tape with a fiberglass stabilized modified acrylic adhesive system carried on a brown paper release liner. The peel adhesion is 73 oz/in. and the temperature range is -40 to + 230 F. High quick tack, good shear and holding power. Used for gap filling, mounting nameplates, and trim-joining. Good bond to many irregular surfaces. Scapa T002 ATG Tape is an unsupported 2 mil acrylic adhesive transfer film tape (pressure-sensitive adhesive pre-applied to a special release liner). It has an acid neutral (pH 7) acrylic adhesive. Used for graphic arts applications, picture framing, scrapbooking, photo mounting, exhibit and POP displays and product assembly. Other applications include mounting promotional items and posters and also mounting picture frame mat boards and dust covers. Glass fibers in adhesive provides easy handling and dimensional stability. Its high grab characteristics ensures a successful splice. Has a good initial tack and good ultimate bonding power. The 60-yard long rolls are great for production shops since it cuts down on the number of times rolls need to be loaded which saves on labor cost. Scapa TD-200 ATG Tape, Aka Unifilm® TD200, is a permanent 2 mil unsupported acrylic adhesive transfer film (pressure-sensitive adhesive pre-applied to a special release liner). Scapa TD200 is used for picture framing and photo mounting, graphic arts applications, and product assembly. Other applications include attaching fabric swatches in sample books and assembling point-of-purchase displays. Bonds to a wide variety of surfaces including paper, most plastic films, and metal foils. Very high quick-stick and excellent holding power at elevated temperatures. Scapa TD-500 Heavy-Duty ATG Tape, Aka Unifilm® TD500, is a heavy-duty 5 mil unsupported acrylic adhesive transfer film (pressure-sensitive adhesive pre-applied to a special release liner). Scapa TD500 is used for picture framing and photo mounting, graphic arts applications, and product assembly. Other applications include attaching fabric swatches in sample books and assembling point-of-purchase displays. Bonds to a wide variety of surfaces including paper, most plastic films, and metal foils. Very high quick-stick and excellent holding power at elevated temperatures. High coat weight provides excellent gap filling properties for use on rough surfaces.